"Imagine yourself for a moment in the town of Olds 100 years ago [in 1894]. The town was in its infancy, still 11 years from incorporation. The population was a mere 100 settlers eager for a new life. There were railway construction workers, farmers, merchants and businessmen alike, filled with hope and expectations for themselves in this rich but often relentless and rugged land. The town had few benefits of civilization, and with the settlers came their desire to establish a Christian community. The church formed the backbone of social as well as religious life of the town. Church of England missionaries were among the first to establish themselves in the district, and St John's was consecrated as a mission in 1894. 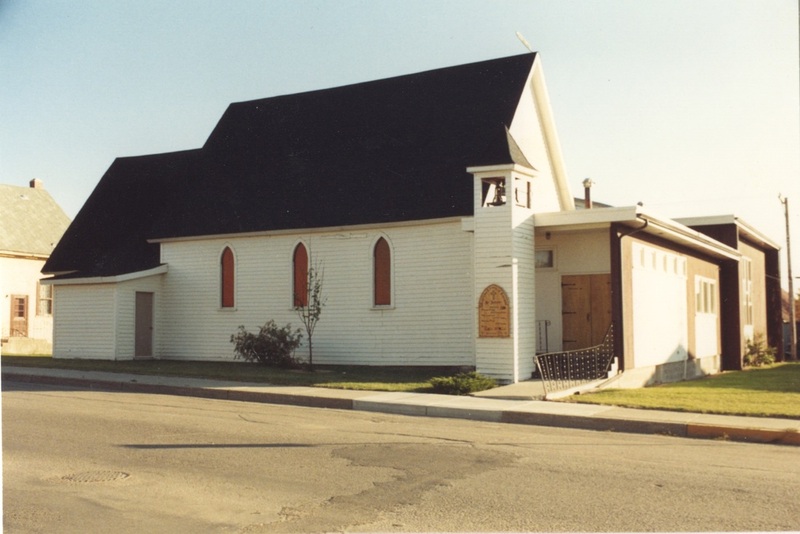 This [parish history] is a story of the growth of the Lord's house in the Olds area. It contains the struggles of our parishioners against the land and weather of this region, the triumph of the human spirit over the vagaries of the depression, and the tragedy of two world wars. There is also the story of overcoming financial adversity in keeping the church alive, and paying the Rector in tough times. As you read this [history], we hope that the Lord will be near you and through His Holy Spirit, will bring this story alive for you." 50th Street about 1905, showing St John's Anglican Church. 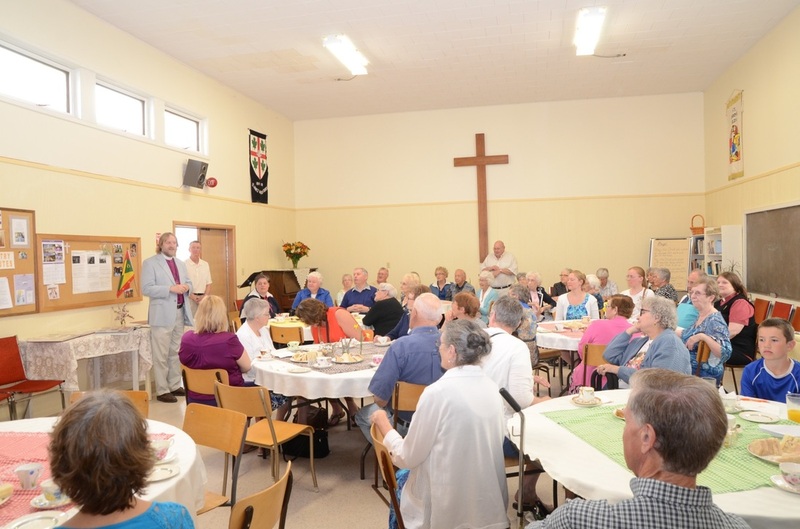 The parish hall was added in 1932 and replaced with the current hall in 1961.